Recently, I participated in a webinar produced by Leadtail and DNN. In the webinar, Leadtail presented findings from a recently published Social Insights report. Leadtail analyzed tweets from 500 North American B2B marketers over a 90-day period. One of their findings was a list of the Top 50 People Most Mentioned by B2B Marketers (on Twitter). During the Q&A portion of the webinar, a very good question was posed to us. The viewer observed that she simply doesn’t have the time to tweet 10-20+ times per day. We answered by saying that the 10-20+ frequency was not set in stone – and that B2B vendors (who aim to reach and influence thought leaders in their market) ought to tweet (and share) at a frequency that’s comfortable to them. The goal of this post is to show you how to get started with social media sharing in as little as five minutes a day. The post is geared towards individuals (rather than brands), although some tips certainly apply to brands. If you can find five minutes in your day, I’ve got a system just for you. This is a system that’s proven to work (or your money back). There are a few prerequisites to complete first. Minimum Completion Time: 2 hours. Sorry to bust your time budget here, but take the time here to do a thorough job with your profiles. If you implement this system well, you’ll be generating attention. And the last thing you want to do is drive attention to half-populated social profiles. 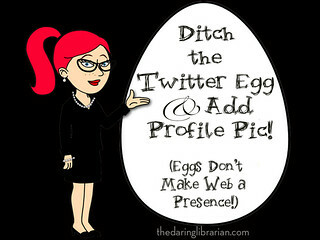 Friends don’t let friends leave the default “egg” on their Twitter profile. If you don’t have one already, create a Twitter account. Populate your Twitter profile. Here’s a useful guide on how to do just that. If you don’t have one already, create a LinkedIn account. Populate your LinkedIn profile. The LinkedIn blog provides some good tips on this. If you don’t have one already, create a SlideShare account. 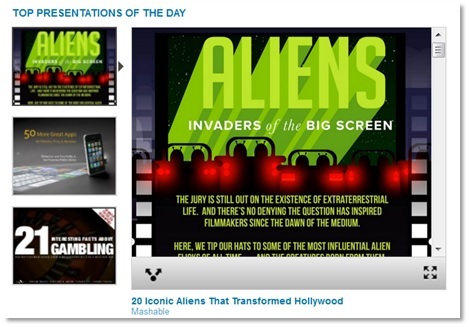 Populate your SlideShare profile. The SlideShare blog provides a good set of tips to get started. Connect your SlideShare and LinkedIn accounts. Here’s the page to make that happen. If you already have accounts on Twitter, LinkedIn or SlideShare, I encourage you to check out these articles (above). Still spend the two hours here to complete and optimize your profiles. Believe me, your social sharing will be the better for it. Visit SlideShare.net. If you’re already logged in, you may get re-directed to your “Newsfeed” page. If so, simply click the SlideShare logo in the upper left to go to the home page. The first place I look is “Top Presentations of the Day,” a set of three presentations curated by the editors at SlideShare. From there, I proceed in “top to bottom” order, checking out “Featured,” followed by “Hot on Facebook,” followed by “Hot on Twitter,” followed by “Hot on LinkedIn.” Presentations in these lists got there for a reason: they’re good. So it won’t be difficult to find a few that (a) interest you and (b) are worthy of sharing. Some of the things that catch my attention are (a) an appealing image on the cover slide, (b) a compelling title and (c) slides that give me actionable information. So take the full 3 minutes here to find interesting presentations and flip through the slides. Every time I do this, I learn something new! Go for quality over quantity. 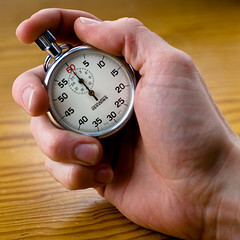 If you share 15 SlideShare’s during a 5 minute burst each day, followers on social media are likely to tune you out (or unfollow you entirely). I recommend going with a set of 2-3 presentations that you found the most interesting. There are two ways to “Like” a presentation on SlideShare. The first is to find the button at the top of the SlideShare. The second is to mouse over the thumbnail image (e.g. from the SlideShare home page) and click on the “Like” icon that appears. If you’ve connected your SlideShare and LinkedIn accounts, then the “Like” (on SlideShare) will automatically appear on your LinkedIn profile. This, in turn, “publishes” that update to the Newsfeed of all your Connections on LinkedIn. Guess what? You just shared content on social media. Clicking the “Tweet” button launches a new browser window with a pre-composed tweet ready for you to review. SlideShare does just about everything you need: it includes the presentation title, auto-generated hash tags and the Twitter handle of the presentation author (if available). All you need to do is review the tweet, ensure there’s at least 10 characters to spare (to make it retweet-friendly), then click “Tweet.” More sharing on social media, completed. In 5 minutes, you’ve completed Day 1 of this proven program. You’ve successfully shared interesting information on social media. 1) Let the world know what interests you. In working closely with people, I get to learn about their capabilities and competencies. Tools like Twitter and LinkedIn help round out the picture: I get to better understand their interests and passions. By sharing on social media, the world around you gets to know you better. And that’s a good thing. 2) Become a useful resource. If you consistently share information that informs others, you’ll become a useful resource to them. Do this consistently over long stretches and you’ll become a trusted advisor. You add equity to your personal brand and you increase the likelihood of being consulted or contacted in the future. 3) Generate some social credibility. The more you generate Likes, comments, retweets and mentions, the more you become known on social media. From there, the more followers you’ll naturally accrue. Side note: on LinkedIn, I’ve discovered that “Liking” a presentation on SlideShare will generate more LinkedIn likes (from my Connections there) than my sharing of articles there. How do you “Like” that? 1) Publish your own SlideShares. Have you recently provided a webinar or an “in person” presentation? Consider uploading the slides to your SlideShare channel. Remove the logistical slides (e.g. the “Webinar Q&A” slide), so that what remains is the “meat” of your presentation. This can take as little as 5 minutes per presentation. Feel free to tweet your SlideShare, but I’d hold off on “Liking” it (out of concern for being called a narcissist). Side note: at DNN, we’ve assembled a content-generating machine by simply posting all of our webinar slides to our SlideShare channel. 2) Pre-schedule your social sharing. Instead of doing all your sharing in a five minute burst each day, you may want to spread things more evenly during the course of the day. This is especially true as you assemble larger collections of content (e.g. more than the 2-3 SlideShares). Experiment with tools like Buffer and HootSuite, which make pre-scheduling a cinch. In addition, if you’re a customer of Twitter Ad Products, you can now do scheduling directly within Twitter. 3) Mix it up: content. Once you have this formula down pat with SlideShares, expand the five minutes you’re spending each day to branch out into other types of content. For instance, as I read blog posts and articles throughout the day, I ask myself whether to click the “Tweet” button to share the article on Twitter. Make sharing part of your reading routine. 4) Mix it up: destinations. This post has revolved around SlideShare, LinkedIn and Twitter. Look to share content in other social networks, such as Google+ and Pinterest. Also, consider sharing content to particular LinkedIn Groups in which you’re a member. 5) Add commentary to your shares. Go above and beyond the “default” share text and include some of your own thoughts. If you find a particular SlideShare compelling, tell us why via the tweet text. It might seem intimidating (or excessive) to consider doing 10-20+ tweets per day. In reality, sharing content on social media can be quite easy, especially if you make it a part of your consumption routine. For newbies, I recommend starting off with five minutes a day and then building up from there. I began this post by referring to a Leadtail presentation. I’ve included the full slide deck below. I attended kindergarten at Zena Elementary School in Kingston, New York, where my teacher was Ms. Silvernail. Back then, Search Engine Optimization (SEO) didn’t yet exist. Search engines didn’t exist because the web was not yet invented. Mainframes dominated the computing landscape and PC’s were a decade away from invention. Despite the lack of tablets, apps and the web, I sure learned a lot in kindergarten. It was my first formal setting with other kids my age and Ms. Silvernail taught us a lot about manners and other social norms. When I look at today’s “white hat” SEO strategies – that is, those that follow search engine rules and guidelines and focus on the “human audience,” I see a lot of similarities with the concepts I learned back in kindergarten. Let’s consider how kindergarten helped give me the foundation for today’s SEO practices. Prior to kindergarten, we learned to respect the authority of our parents. In a school setting, we had to learn how to respect our teacher, along with other authority figures at the school. With SEO, the search engines are authorities who hold a lot of “power.” In fact, they determine your effectiveness, in the same way that teachers determine your grades. For optimum results on Google, for instance, a good first step is to use Google Webmaster Tools. Google will use this tool to send you “Messages” about your site’s availability, as well as instances where it suspects that link spam is pointing to your site. If a teacher asks you to sit up straight, you do it. If Google finds link spam pointing to your site, you investigate and resolve it. A classmate hands me something that’s clearly not mine. I’d tell Ms. Silvernail, explain that it’s not mine and she’d take it away from me. There’s a similar arrangement with SEO. Let’s say Google finds links to your site that violate their quality guidelines. You’ve never heard of the site linking to you and don’t understand why they’d want to do so. 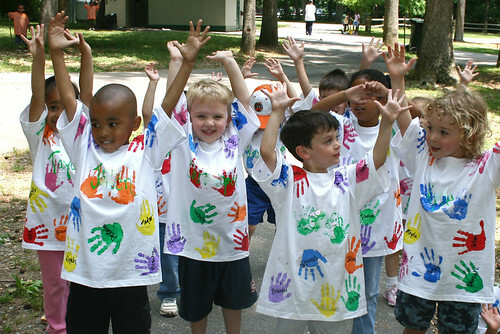 Whether it was in the classroom or on the playground, we played by Ms. Silvernail’s rules. If we strayed from the rules, there were consequences to pay. Google has posted its own rules: a detailed Webmaster Guidelines that includes a number of sections. Pay close attention to the “Quality guidelines” section. Alternatively, read a summary of the Cutts video, posted by Search Engine Land. Truth be told, I can’t recall whether the concept of cheating surfaced in kindergarten (for me). But it was certainly introduced during elementary school. Google has a page detailing link schemes, which “includes any behavior that manipulates links to your site or outgoing links from your site.” Carefully review the “forbidden” practices listed in this article. And know that for SEO, it never pays to cheat (Ms. Silvernail said so). We were taught to be honest in kindergarten. The web, on the other hand, has seen shady practices that were implemented to “game” the search engines. For the most part, these practices are no longer effective: keyword stuffing, unnatural anchor text, etc. Write content for your audience (of human beings) and not for search engines. Write clearly and “say what you feel.” Read your page content aloud to confirm whether it sounds natural. Search engines now reward quality content over “crawler optimized” content. If you’ve been punished, correct bad behavior and let the teacher know. Let’s say your website traffic fell off a cliff. Perhaps you can trace it back to May 22, 2013, when Google deployed Penguin 2.0. Just as in kindergarten, you work on correcting the “bad behavior,” then let the teacher know. While a teacher explicitly tells you what you did wrong, the search engines aren’t nearly as direct. So the biggest challenge may be identifying the (perceived) bad behavior. Titan SEO has a good article on the “road to resubmission” that lists things to investigate. The article notes that after correcting issues, you can submit a reconsideration request to Google. While the details of search engine optimization may seem complex, they’re based on principles that we learned in kindergarten. Follow guidelines, avoid tricks and be honest. And if you do stray from the guidelines, correct past wrongs to get back in the good graces of the authorities. Unlike kindergarten, the rules and guidelines of SEO are constantly changing. Google makes more changes in a given day than your kindergarten made all year long. So keep up to date with changes from Google and the other search engines. And if you’re reading this, Ms. Silvernail, I hereby disavow the free lunch that I received from the cafeteria on the first day of kindergarten. 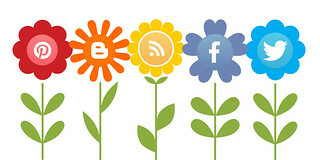 Some organizations are rocking the house with social media (a few come to mind: Coca Cola, Starbucks, Virgin America). At the same time, many organizations I speak to are challenged to achieve the results they desire using social media. ON-DEMAND WEBINAR: Social Media Optimization: 10 Tips in 30 Minutes. The challenge? It’s usually a combination of “lack of know-how” and lack of resources (or both). So here are ten easy steps to take to optimize your social media channels. You can perform these steps in any order. 1) Use consistent branding across channels. For personal use of social media, I recommend that people use the same profile photo across all social channels. Why? Because followers who know you on Twitter will recognize you on SlideShare. So the consistent photo removes a barrier to gaining that new follower. For organizations, use the same logo everywhere. Also, if you’re running a campaign, use the same campaign theme across your channels. 2) Strategically hyperlink from profile pages. Check out all the valuable hyperlinks we’re afforded on the DNN Google+ page. Take advantage of these opportunities. You can drive clicks (to your web properties) from views of your social profile pages. And, the inbound links will help with Search Engine Optimization (SEO). Don’t be too cute, however. Make sure your link’s anchor text aligns with the page you’re linking to. Gain a new follower on Twitter? Verify they’re a “real” person (vs. a “bot”), then follow them back. It’s a nice gesture on social media to follow back. And, by following back, you get the opportunity to listen to what your followers are saying. On Twitter, following back allows your followers to send you a “Direct Message” (a private message), which is often an effective channel for customer service or related inquiries. 4) Tag (link to) other users. When I share an article on social media, I like to “link” to both the publication and the author. Why? Because it gets you (or your organization) noticed by the publication and the author (in addition to sending them some good karma). The author may follow you, retweet you or respond to you. In turn, the author’s followers may decide to follow you. In short, good things can happen. 5) Learn the tricks of the trade of each social network. Using the “retweet” button on Twitter. Setting up a Google+ Hangout. Managing your Circles in Google+. Each of these things is unique to that service: get to know these unique features well and your use of that service becomes more effective. Become BFF’s with analytics (and yes, you really should become best friends forever). Did you know: Twitter now provides free analytics dashboards to all Twitter users (read more on the Constant Contact blog). Use analytics to evaluate your social media effectiveness across a number of dimensions (e.g. content type, content format, topic, time of day, etc.). Metrics to track include reach, engagement and traffic. Next, draw conclusions that help inform your subsequent social sharing. I know of professional sportswriters whose Twitter profile is an automated feed of every article they write (and nothing else). While I love their sports writing, I don’t follow them on Twitter. Instead, I follow other sportswriters who comment, respond, retweet and engage. So mix it up: share content, retweet, respond and engage. Don’t be a social media automaton. 8) Engage proactively and respond promptly. Users on social media can be chatty. And they expect responses to their issues or comments. Your role: listen to what they’re saying and respond promptly. A same-day (or same-hour) response is far better than one that comes tomorrow or next week. While your primary goal is to “be useful” on any given social network, there are times when you’ll want to promote your other social networks. Let fans know that you “exist” elsewhere. And, when you’re running events, contests or campaigns on a particular network, use your other channels to drive additional awareness of those activities. 10) Experiment with paid advertising. Image: a Twitter Ads dashboard for Promoted Tweets. It’s great that you have a lot of fans and followers on social media. But did you know they’ll miss 80+% of what you post (that’s my own, unscientific estimate)? That’s just reality. Paid advertising can create a higher likelihood that fans see your content – and, it extends your reach to people not currently following you. We’ve had fun experimenting with it here at DNN. Social media can drive tremendous value to your organization – and, it can be a lot of fun doing it. I hope you found these tips useful. I presented a DNN webinar on this same topic recently – you can find the presentation slides below. The potential to integrate the technology into Google Maps. Bringing social networking to navigation. The loyal following of the user base. Google’s acquisition of Waze is an investment (and bet) on where technology is headed. In other words, Waze fits into Google’s product vision. I was driving home from Lake Tahoe with friends. We wanted to stop for dinner. Spread across three cars, we decided to meet directly at the restaurant. I had never been to this particular restaurant, so I entered the address into Waze. My friends had been to the restaurant, so they were not using navigation. A major traffic jam developed on Interstate 80. Meanwhile, Waze routed me around the jam by taking me towards Sacramento, directing me down Highway 5, then connecting back to Interstate 80. I bypassed the entire traffic jam and arrived at the restaurant 45 minutes before my friends. They had to sit in stop-and-go traffic for 45 minutes. I got to avoid it. For this particular moment, Waze improved my quality of life. Waze has intelligently re-routed me a few more times since then. Often, the re-routing occurs before you even see the onset of traffic. Waze notifies you of the route change and lists the estimated amount of time you’ll save on the new route. It’s amazing. This is precisely where Waze comes into play. In Web 1.0, the world’s information was published online via the World Wide Web. Some ten years later, Web 2.0 emerged, in which web content was supplemented by user generated content. Today, we’re starting to evolve into Web 3.0: user and machine-generated data. And that’s what Waze is all about. As you drive, you generate data (accident reports, traffic reports, validation of accident reports) and your phone generates data by way of the “machine” (your car) it’s traveling in (direction, route and speed). The value in Waze is its ability to organize this information and make it accessible and useful to its users. Google acquired Waze for its real-time, back-end tracking system that intelligently manages data flows from millions of simultaneous users (and makes sense out of that data). In other words, it organizes the (driving) world’s information and makes it universally accessible and useful. This sophisticated and intelligent data management system can be applied to many other use cases beyond navigation. In Navigation 1.0, the GPS system got you to your destination. With apps like Waze, you get there quicker. Next, “organizing data” will help us find interesting stops (along the way to our destination) and help us build better highways. Imagine a “Waze-like app” inside each driverless car. As the driverless cars drive, they’ll generate the same sort of data that Waze users do today and receive similar benefits (e.g. where to turn, where to park, where to go when the gas is low, etc.). Ever sit in traffic for an hour? It’s so frustrating. It’s not just wasted time, it’s also the stop-and-go activity of driving that wears you out. Waze can help me avoid the traffic and give me back an hour of my day. That’s a quality of life improvement. To date, Google organized data to help me find information on the web. Going forward, they’ll organize data to help improve quality of life. I invited Twitter users to chime in with their opinions on why Google acquired Waze. Here’s what they tweeted. @dshiao @michellebruno @CBPSC They acquired Waze to block Apple which makes it harder for Apple Maps to catch up to Google Maps. @dshiao Makes sense 4 people who provide maps to go with tool 4 people that use them then when maps are wrong use social network to update. 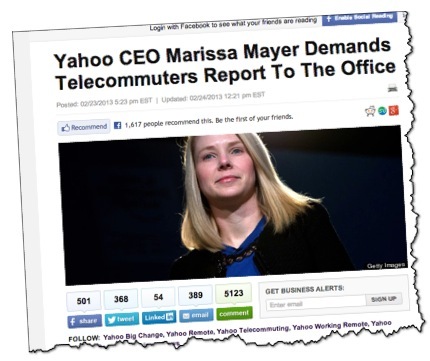 An Open Letter to Marissa Mayer of Yahoo! Image source: User gaku on flickr. First, a belated congratulations on the birth of your son. Congrats, as well, on your new job. Speaking of the new job, it seems your “no work from home” policy has generated a lot of commentary and discussion. Some are in your camp, while others disagree with you. We want everyone to participate in our culture and contribute to the positive momentum. To become the absolute best place to work. We need to be one Yahoo! With respect – and, knowing what your goals are, here’s how I would have done it. 1) Create an awesome office environment. Image source: Robert Banh on flickr. Look to your competition (Google – a place you may know a thing or two about). They provide office environments that workers love (perhaps more than they love their homes). Google provides free food, of course (and many other free services), but it really goes beyond that. The free stuff provides a foundation on top of which a flourishing, in-office culture develops and grows. 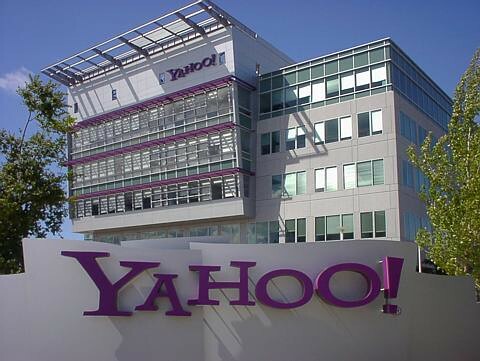 How you create awesome office environments depends on Yahoo’s culture and personality. Just copying Google won’t necessarily work. But here’s the great thing about doing it this way: you’ll be able to draw in those remote workers because they’ll decide that the perks of being in the office outweigh the conveniences of working from home. So don’t compel them to come into the office, but create an office environment so awesome that it’s hard for them to stay away. An awesome office environment will naturally lead to higher morale and job satisfaction scores. On the flip side: if your current office environment remains unchanged, but you compel employees to come in and work there, can you really expect to achieve great things? 2) Identify the teams for which collaboration is most productive. To be a rock star in Accounts Payable, you don’t need to collaborate (with others) as much as the rock star in Development or Product Management. I’m a firm believer that a great idea can surface from a product manager speaking to an attorney and an accounting director. So I understand why you want all groups in the office together. To start, however, focus on initiatives to get particular groups collaborating – then, find opportunities for cross-collaboration (e.g. product management and customer support, to help build better products based on what customers are telling you). 3) “Hack” your way to new products (in the office, of course). With regard to the separate activity of “20% time,” recall that without it, the world may not have Gmail. Full disclosure: I’ve never run my own company before. So take this advice with a grain of salt. While some have disagreed vehemently with your policy, you’ve taken a stand. Best wishes on achieving your goals. The new home page looks pretty nice. It’s December, which means that it’s that time of year. Predictions! While 2012 was an exciting year for social media, I find it challenging to look back and characterize it. Was it the year of the mobile app? The year of the pinboard? Pinterest was certainly one of the big stories of 2012. What will 2013 hold for social media? Let’s explore. We see the major players doing more blocking and disabling of each other’s services, not less. The measures taken by Twitter and Instagram (in 2012) were the start of what we’ll see far more of in 2013. Venture capital will dry up for “pure” social media start-ups. You’ll need to pair your social media offering with a mobile or big data angle – or, whatever will emerge as the hot new thing in 2013. The “social media darling” of 2013 will be a new app that uses your social graph, your “interest graph” and your location to facilitate face-to-face connections. It’ll have specific features to discourage its use as a dating app. There will be a drop-off in blog postings on the topic of social media (consider this one an endangered species). Twitter publishes its definition of “spam user / spam bot” and drops those users from its official registered user count. Its reported user base drops by 20%, but advertisers give them a pat on the back. One among Klout, PeerIndex and Kred will be acquired for an eight figure sum. My money’s on Kred. Yahoo! acquires Quora for $800MM. Quora remains an independent site in 2013, but merges its user database with Yahoo’s. Twitter’s makes further progress with the stability of its infrastructure. The fail whale faces extinction. MySpace expands beyond music into sports, recreation and other selected hobbies. It makes some acquisitions to grow audience in those areas and becomes the talk of the town at year-end 2013. After making significant concessions to the Chinese Government, Facebook is made available in China. As Facebook, Twitter and others focus on growing revenue, their end users experience “ad fatigue” and response rates (e.g. clicks) take a hit. Finding success on Twitter, The Pope expands to Facebook, Google+ and Pinterest. He declines an offer, however, to become a LinkedIn Influencer. Facebook considers a move into the “data locker” space, figuring that they already have the critical mass of users – and, that it’s more effective than serving banner or text ads. See this related piece on data lockers from the New York Times. If there’s such thing as a “social media product of the year,” then in 2013 it will be Google+ Hangouts. Crowdfunding via social media is big. In 2013, it becomes huge. This post will receive precisely 17 comments. So leave your own social media predictions –and perhaps you can make this 2013 prediction come true in 2012. In 2013, I think that people will continue to collapse the number of social networks in which they participate to the Big Three: Facebook, Twitter and LinkedIn. YouTube, though I have a hard time classifying it as a “social” site, will continue to dominate the web. Google Plus, while an awesome platform, will continue to struggle to be relevant due to their late entry into the social game, but will be used for unique functions such as Hangouts. Pinterest? I’m biased, but I think its sizzle will fizzle in the not too distant future. Other social sites, such as the reinvented MySpace, will become, for lack of a better term, “sites.” May have social sharing capability, but would not qualify as social “utilities” such as Facebook or Twitter. Thanks for stopping by throughout 2012. Hope you had a good year and I hope 2013 is even better. Happy Holidays!